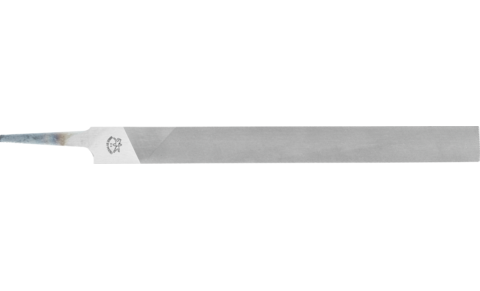 Triangular file with knife profile, cut on two sides and the narrow edge. Version with tang. Shape G according to DIN 7261. For work on very acute-angled and narrow geometries.